Have you ever noticed text or images or symbols appearing in the bottom or top end of the page? Well that's what are known as the header and footer. You would find them almost everywhere, in every document, book, novels and other papers. Headers and footers offer a great way to identify the document. When placed on the document correctly, they can denote the date the document was created, the author of the document or any other information about the document the author may want the reader to know. They have a high value in the professional documentation. These can be used to provide index to the pages.But as it is editing any other section of a PDF, without the best tools for the job, adding a header or footer can be difficult. If you want to add header and footer to PDF to better manage your document, you can follow this guide to finish the task. One of the best tools to easily add header and footer to PDF documents is PDFelement ProPDFelement Pro. This tool offers a simple process to edit nearly any aspect of the PDF including adding text, adding links and adding headers and footers to PDF documents. It also performs a lot of other functions including the ability to edit text font and rotate images in the document and even edit PDF pages by deleting and adding new pages to the document. Here's a simple way to add headers and footers to a PDF using PDFelement Pro. Open PDFelement Pro and import the document you wish to edit by clicking the "Open File" button. After opening the PDF file, click on the "Edit" tab, and you will see the "Header & Footer" section on the right hand side column. Click on the "Header & Footer" option and then select "Add" from the submenu. In the pop-up window, select where you need Headers and Footers and whether you need them in every page or Odd and Even page. On the toolbar you can choose only to add header to PDF or add footer to PDF files according to your needs, you can also add filename to PDF footer. You can click the "Triangle" button at the bottom left corner to switch the options. Finally, click "OK" to confirm your choice. Headers and footers are important parts of any document. If the PDF you're reading is not numbered, you will find it difficult to know which page you left reading in. By adding in headers and footers you will be able to make the PDF look better and reading it becomes a whole lot easier. To save the document with headers and footers, click on the "File" menu and then select "Save as." 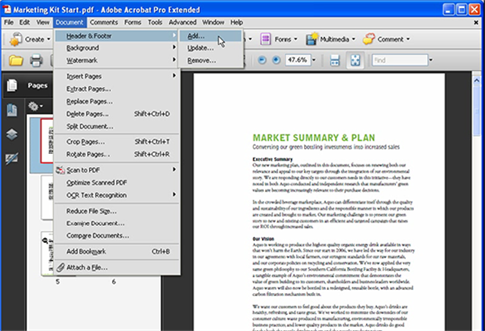 PDFelement ProPDFelement Pro is one powerful PDF editor tool that makes editing PDF's a cakewalk. More, you can do a whole lot more, from adding comments, editing images to marking up the document or even inserting forms! 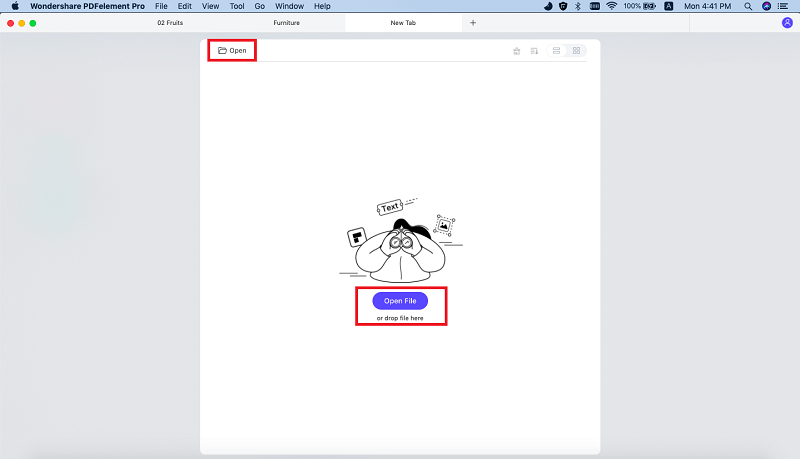 Easily add Header and Footer to PDF files. Edit PDF as easy as editing Word files. You can markup, annotate and comment on PDF. You can add watermarks to your documents. You can also set password to files or add digital signatures to PDF. Batch processing for data extraction, converting, watermarking, and more. 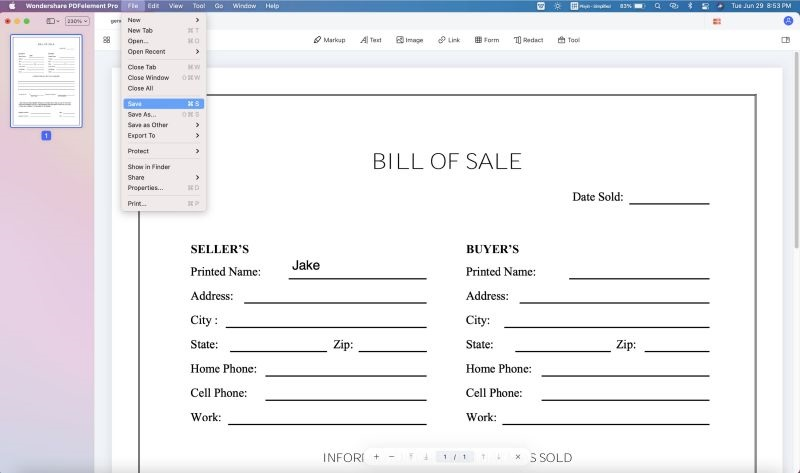 You can also use Adobe Acrobat to add headers and footers to a PDF. Download and install Acrobat on to your computer and then follow these simple steps. Step 1: Open the PDF Document you want to edit in Adobe Acrobat. Step 2: Once the document is open, click on "Document > Header and Footer" and then click on "Add." Step 3: This will open the header and footer dialogue box. Here, you can enter the header and footer information in the dialogue boxes provided and you can even change the size of the header and footer. Click "OK" when you're done to save the changes and remember to save the document. The "Add headers and Footers" option is not immediately obvious to the average user, it is hidden in the "Document" menu and may therefore not be easy to find. Adobe has been known to fail to open a document when the user is using an older version of the program. At $249, it is a rather expensive way to add headers and footers to a PDF document. It is not easy to add a page number to a PDF in Adobe. You can also use online PDF editors to add and headers and footers to a PDF document. These are usually free to use and many even have all the features you would need to add headers and footers to a PDF. The following are just three of the best online PDF editors to add headers to a PDF. Online2PDF is a simple online tool allows users to add header and footer to PDF online in simple ways. All you have to do to use this program is upload the file you'd like to edit into the program. 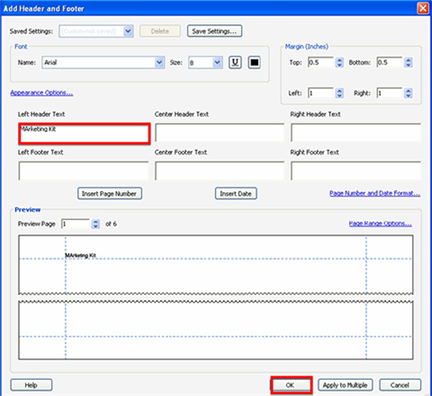 Once the file is uploaded, you need to only select the header and footer section and then enter the text or page numbers. It is very easy to use; once uploaded, you need to only type in the header and footer information. It also has a wide range of other PDF editing options that include the ability to convert files to various other formats. You can only process 20 documents a day and each file cannot be larger than 100MB in size. 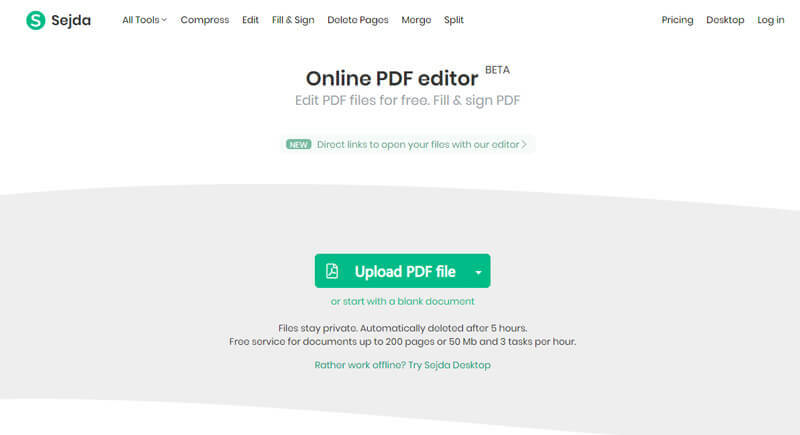 Another very good online PDF editor, Sejda provides a useful way to quickly add headers and footers to a PDF. Like most online tools it provides a simplified way to upload documents onto its platform and also edit them. It also has a lot of other PDF editing functions that include conversion from one format to another, edit the text and images on the document and so much more. You can upload documents from your computer or from online cloud services. It allows users to add ad remove headers and footers easily. For security reasons document are deleted after every 5 hours. The free version limits the size of documents you can edit at a given time. You can also only edit 3 documents every hour. 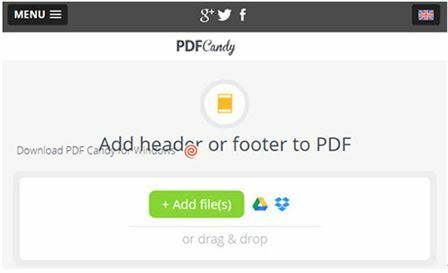 PDF Candy is another useful online tool that allows users to add headers and footers to PDFs. It makes the process of adding files to be edited very easy, allowing for drag and drop functionality as well as the option to upload from Dropbox and Google Drive. You can then simply type in the header and footer in the header and footer section. Uploading documents is easy and convenient. Adding headers and footers is relatively simple. You can only work on a specified number of documents with the free version. Drawboard PDF Cannot Markup PDF? Solved!